In honor of Adoption Awareness Month, I asked a couple of friends, Rochelle and Christy, to share more information about international adoption. These two families have a lot in common. They both have an older son, and then they were blessed with a chromosomally enhanced daughter, and then they both felt compelled to adopt another little girl with Down syndrome through Reece's Rainbow, an international special needs adoption ministry. 1. What inspired you to consider adoption? ROCHELLE: In 2008, our daughter Alayna was born and at birth we found out she had Down syndrome. About six months after she was born, someone brought to our attention Reece's Rainbow International Down syndrome adoption grant foundation. Through this website and others we quickly learned about the plight of orphans in Eastern Europe. Children with special needs, if not adopted by age 4, are sent to adult mental institution where they spend the rest of their lifeless, unstimulated days. Every time I looked at Alayna I would think about those orphans with Down syndrome wasting away. Every time I took Alayna to therapy I would think to myself we could provide this for another child with Down syndrome. I then brought all this to my husband, who thought I was crazy! However, about a year or so later God moved my husband to look at Reece's Rainbow more closely and he then felt God calling us to Eastern Europe to bring a child home. 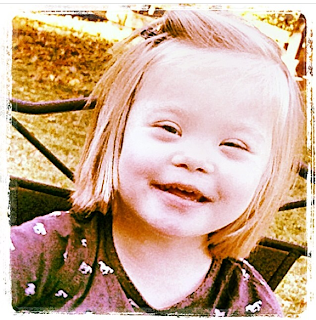 CHRISTY: Our biological daughter, Bailey (3), has Down syndrome. When she was two months old we were heard about Reece’s Rainbow and their mission of finding adoptive families for children with Ds and other special needs. At first, I was simply curious about families that were choosing to adopt children with special needs. We received Bailey’s diagnosis of Ds prenatally, so had had quite a bit of time to deal with the emotions that come along with the diagnosis, but she was still so little, and we were unsure of what exactly it meant to parent a child with special needs. I certainly wasn’t thinking in terms of adopting another child with Ds, but was very curious about those who were. Honestly, I was blown away by the number of families I was found on Reece’s Rainbow, and followed via their blogs, that had one child with Ds and were adopting another. After finding Reece’s Rainbow, literally every day, I scrolled through the photos of waiting children on Reece’s Rainbow’s web site, my heart slowly shattering piece by piece by piece. I imagined our little Bailey lying in a crib in an orphanage on the other side of the world, with no one to hold her and love her and one day I knew that not taking action was not an option. Thankfully my husband agreed! 2. How did you research to prepare for your adoption journey? ROCHELLE: We knew we wanted to adopt a child with Down syndrome internationally so we began researching different countries and their guidelines for adoptive families. We read loads of materials that our social worker provided for us which included anything from writing a life book for Dariya to how to incorporate Dariya into our family and not make our biological kids feel left out. Overall, we felt like other parents who had adopted previously were our best resource. We spoke with local adoptive families and joined an online forum for adoptive families which provided us a wealth of knowledge. CHRISTY: I followed many blogs of families in the adoption process. 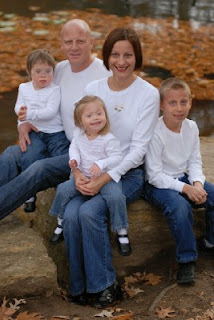 I joined Facebook groups dealing with Down syndrome adoption, international adoption, etc. Once we committed to adopting Abby, we read books about parenting adopted children, took online classes about adoption, networked with other adoptive families, etc. 3. What would you suggest for people who think the cost of international adoption is too prohibitive? Can you talk about ways to offset the cost of international adoption? ROCHELLE: The money was my husband's nemesis every time we talked about adoption. We didn't have $21,400 (our total costs) just lying around in savings). However, we felt as though if God was calling us to do this he would clearly provide the means to do it. We applied and were approved for a home equity line of credit through our bank, although thankfully we never had to use it. We also researched many grant organizations if we needed them. Dariya had a few thousand in her grant fund before we were matched with her, this was in large part from Angel Tree donations. We used our savings to pay the upfront and initial costs. We held a few fundraisers for our adoption and were blessed to be fully funded. We held an iPad giveaway as well as other giveaways on our blog. We had an iPad, gift cards, jewelry etc which almost all of it had been donated to us. This fundraiser brought in around $9000. The lady that won the iPad lived across the country and we had never met. She was an adoption counselor but I am not even sure how she found our blog. We had a garage sale and posted pictures of Dariya and information about her adoption and received many donations from people who stopped in. We then held a golf tournament and a pasta dinner and silent auction at our church. We had 5 friends from church that used their gifts and talents to help us organize and pull this day off. This day brought in the final $7000 that we needed to be fully funded. Don't let the price tag of adoption scare you off. CHRISTY: I know that all adoption journeys are different and what works for one family doesn’t necessarily work for another. In our case, we didn’t have a lot of money set aside that we could use for Abby’s adoption, which ended up being a little over $32,000. We relied heavily (read: almost entirely) on fundraisers. Of the fundraisers we did, the most successful was an iPad “giveaway” on our adoption blog. I don’t remember the specific reason that we couldn’t call it a raffle (something to do with donations and raffle rules), but basically, for every $10 donation to our adoption fund, the donor was given one entry into a drawing for an iPad. The iPad Giveaway lasted about two weeks and we raised several thousand dollars that way. Our friends helped us host a HUGE garage sale that raised a couple of thousand dollars. During the garage sale we also sold Krispy Kremes – they have a fundraising program where you can buy a dozen donuts for $4, and then sell them at the regular price of $1 per donut, making $8 per dozen in profit. We sold many, many donuts at the garage sale! Chick-Fil-A partners with non-profits on fundraisers - a portion of proceeds for a certain number of hours at one of their restaurants for one night will be sent to the non-profit, in our instance, it was sent directly to our adoption agency to help cover fees. We raised several hundred dollars through the CFA fundraiser and it was so much fun! Our friends and family came out in full force and packed that restaurant! We cut out all unnecessary items from our budget – we tried to eat at home instead of eating out, we stopped buying unnecessary items, we went through our house and sold a ton of stuff on Ebay. That was fun (it’s like a game to see how many bids you get on random things – and let me tell you, there is a buyer out there for everything!) and made a couple of thousand dollars when all was said and done. When Elizabeth first asked me about fundraising for our adoption, I told her that I should write a book on the miracle that was the funding of this adoption. If ever there was a time that convinced me that miracles do happen, it was through this adoption. When we committed to Abby, we stepped out in faith that God would provide the money needed to bring her home. The stories I could tell you of how money came out of the woodwork – at exactly the time we needed it! A fee is due and we’re $300 short? A $300 check arrives in the mail because at some point years ago we had overpaid our insurance. Due to the time we were traveling, airline tickets to bring Abby home were $600 more than we budgeted? Danny’s parents asked if they could pay for Abby’s ticket home, which was exactly $600 (and wow, isn’t that such a beautiful, symbolic gift? Love that they did that!). The facilitator fees were more than originally anticipated because of some extra travel and work she had had to do on our behalf that wasn’t budgeted for? Abby had a little bank account set up in her name in her country for her care, which the orphanage didn’t spend, and covered those fees, and then some. It was one thing after another, after another. A true faith journey that did nothing but affirm my faith in God and his ability to provide for our needs – and more importantly, the needs of a little orphan on the other side of the world! Bit by bit, it all added up and every time it was time to pay the next set of fees, the money was there! 4. What was the time frame of your adoption start to finish? ROCHELLE: Our adoption was very quick, as Ukraine tends to be much faster than some other countries. From start (when we signed the formal papers to commit to Dariya) to finish it was 5 1/2 months. In December 2010 my husband heard God calling us to adopt and began searching Reece's Rainbow for children. We began emailing with Andrea Roberts in January 2011. By late January we had a short list of girls that we were praying over and had begun the process with things like renewing our passports, finding a social worker who was approved for international adoptions etc.. On January 30th we committed to adopting Dariya and began our home study paperwork the next day. After completing all the necessary paperwork and submitting it to Ukraine we were invited on June 9th to their State Department of Adoptions to petition to adopt Dariya. We spent five weeks in Ukraine which included visiting Dariya twice a day, going to court and then staying through the 10 day wait period. We had Gotcha day on July 8 and flew home on July 13. CHRISTY: We first saw Abby’s photo on Reece’s Rainbow in early April, 2012. We officially committed to her the first week of May, and she was home in early January, 2013. Basically 8 months, and it could have been a little less, but it took us about two weeks longer than it should have to complete some paperwork at the beginning of the adoption process and then our court date in her country fell on the day before the government closed their offices for 10 days to celebrate the Christmas holidays. I think she could have been home in 7 months, had it not been for those two little hold-ups. 5. What lessons did you learn along the way? What advice would you give a friend who is considering international adoption that you wish you would have known when you started the process? ROCHELLE: International adoption is like a roller coaster ride. It has its ups and downs and screaming crazy fast moments but then has those very slow but intense moments too. For us we learned that our whole process was all in God's timing and that He was in control of it not us. For example, I am a total type A personality, no matter how quickly I finished all the necessary paperwork I had no control over the timing of our government approving us or the Ukrainian government approving us or when we would travel etc. We met Dariya's birth father and spent some time with him while we were in Ukraine. We found out that when my husband was hearing God's call for us to adopt in December that it was the same time period in which Dariya's birth parents had learned about Reece's Rainbow and released her for international adoption. I don't believe in coincidence, God has his hands all over this, in His perfect timing. Our advice would be to not let the price or travel scare you out of international adoption. Instead embrace the country you are adopting from. Learn about the culture. Eat the foods. 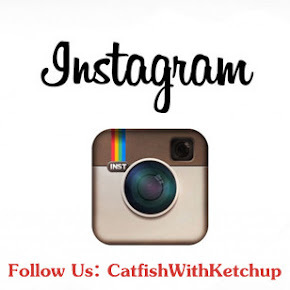 Take loads of pictures of the country and the people for your child to see as they grow up. Visit with and maintain a relationship with your child's birth family, if possible. For us meeting Dariya's birth father was a complete joy and to maintain contact with him so that he may watch her grow through pictures and video is a blessing. As for the money, we say count the cost. What if you didn't adopt that child? What would their life be like? What would your family be without them? What is that cost? As the old adage goes, "It takes a village to raise a child” but we add that it takes a village to raise the money to adopt a child. Let those around you use their skills and gifts to help you brainstorm and fund raise. CHRISTY: I learned to be patient and not get too upset over the little hiccups along the way. The adoption journey has been described as a roller coaster of emotions – which is completely true! Honestly I don’t think there is a single adoption story I’ve heard that didn’t have one or two setbacks along the way. One day you get good news, the next day there is a delay. One day you find out there is a hold up with a form, the next day something is expedited. It’s up and down and is incredibly hard to not get caught up in all of the little details, but if you can develop a hakuna matata attitude it will serve you very well as you make your way through the many checkpoints in the adoption process that lead you to your child. And don’t think I’m speaking as someone who fully mastered this, I’m WAY too high strung to have perfected it, but oh my word, how nice it would have been to not sweat the little details during a process that you know will have little things that go awry at some point? 6. Will you share your thoughts on the experience of parenting both a biological and an adoptive child? Has anything surprised you? ROCHELLE: Every child is different and unique. Each of our children have their own personalities, strengths, weaknesses, needs, wants, triggers, likes, dislikes, and a desire to be included in a family. It is our job as parents, whether our kids were born to us or born in our hearts to figure out what makes them tick, to teach them, lovingly discipline them and to help them reach their highest potential. So for us we don't feel like there is a huge difference in parenting because of where that child was born but rather more of a difference in how we need to support each child based on their individual needs. CHRISTY: We have two biological children – Taylor, our son is 7, and Bailey, who is 3. They are both extraordinarily easy children – both laid back, eager-to-please kids. The bond with both was strong, immediate and easy when they were born. When we adopted Abby she was just shy of her 3rd birthday and had been in an orphanage in Eastern Europe since a few days after her birth. Even though Abby’s orphanage was a “good” one, it was just that - an orphanage. She was watched by a rotating list of caregivers. She was in a group of children that ranged at any given point from 8-12 children, ages 1-3. The children rotated in and out too, as the orphanage is also used as emergency foster care for children who need to be removed from unsafe situations quickly. Abby had really never been given the opportunity to bond with anyone: caregivers, other children or family. The orphanage staff, while they were kind women, didn’t seem to cuddle or touch the children unless helping them with a necessary task: eating, diapers, dressing, etc. Nor did they correct poor behavior and or give guidelines for good behavior. For example, I don’t know how many times we saw a child hit another child, or one child yank a toy out of another’s hand. And if the caretakers saw it, the typical response was to laugh but certainly not to teach appropriate behavior. By far I would say the biggest surprise of parenting Abby for the first few months was knowing how to deal with difficult behaviors that were learned in the orphanage. And let me make this clear: this way of existing was the only way Abby had ever known. She is a super sweet, kind little girl. She is also very independent (whether that is her natural personality, or one she had to learn to survive in the orphanage, we will never know), and didn’t take too kindly to the boundaries we have in our home. We received varying advice from “experts” (adoption books, internet research, other adoptive parents, and an attachment/adoption counselor) on how to best deal with the poor behaviors – some said that she needed strict (but of course loving) boundaries, so she could learn that while she had to control her environment in the only way she knew for the first three years of her life, that now her job was to be a child and let us be her parents. Some said that she just needed to know she is safe and secure and loved and give her time to adjust before imposing boundaries. During this time we experienced a strange dichotomy of this heartbreakingly sweet little Abby who needed, craved, and soaked up physical affection – as in hugged me with arms tight around my neck for hours at a time – with the independent little girl who didn’t want to obey and had all of those ugly feelings of abandonment and subsequent anger and sadness welling up inside of her, but no way to articulate or understand those powerful emotions. It was so surprising to me (and looking back on it I cannot believe this surprised me – my goodness, what did I expect?!) that I had to keep second-guessing how I was parenting her – do I ignore a certain behavior, correct it, or discipline her after repeated instances of the same poor behavior when she knows what she should do? With our biological children, I was not constantly second-guessing if I was using the right parenting method, but then again, neither of our biological children had the miserable, lonely existence that Abby had had either. We knew of course that she needed love, security, and boundaries, but knowing how to best deliver those to a child who has never experienced them – and was emotionally fragile - was the tough part. But, despite all of those doubts about how to best parent a child who was abandoned at birth and during some of the most important developmental years of her life was not shown love, affection, or boundaries, we would adopt her again in a heartbeat. Abby is our daughter, and was meant to be from the moment she was born. We love her to pieces and while the going wasn’t always easy, it has always, always been worth it. She is worth it. This precious girl has blossomed in front of our eyes in the last 10 months since joining our family. She LOVES her family and now for the first time in her life, understands what it means to be a part of one. She has gone from needing hugs for hours at a time, to coming up for a hug and then shouting “play!” and running off to play again. She has grown taller and has thinned out with her new normal of healthy food and ample activity. Her smile (which was basically nonexistent before) comes easily, as do her sweet, infectious giggles. She goes to preschool and is a little sponge soaking up words, signs, songs, etc. Where we once had bad behavior days almost daily, we now go weeks between bad days. Abby has bonded beautifully with her immediate and extended family, close family friends and friends at school. For #adoptionawarenessmonth I've posted tidbits here and there about Abby's life before joining our family. With each post there has been at least one comment (usually more) about the post making someone cry. I get it. When I contemplate Abby's past in its entirety, the emotion is literally crushing. I've had to compartmentalize thoughts of her life before being here because the pure sadness, not to mention the completely unnecessary reasons she was made to endure that life, is too much to comprehend. Her past was not pretty. I don't mean physically, I just mean the lonely, sad existence she had for almost three years. And OH MY WORD it didn't have to be that way. Some details of her past don't need to be publicized but our daughter endured so much and it was so freaking unnecessary. But thank God for leading us to her. The changes in her this past year are incredible! It has nothing to do with our family being special because….we aren't. It's as simple as having a family that loves you and a place to call home. I've said this many times but let me say it again. There are so, SO many kids waiting. Let me assure you, they don't need your life or home to be perfect or your bank account to be huge. They just need a home and a family to love them. If you've ever thought about adoption please don't wait because you feel like everything has to be perfect because kids don't need perfect, they just need a family and love. If you'd like to help bring an orphan home to the loving arms of a mother like Christy or Rochelle, you can donate to Reece's Rainbow by clicking HERE. And since your mascara is already smeared all over your cheeks, you can find another inspirational Reece's Rainbow story HERE. Two of Ellie's best friends who have DS were adopted from Eastern Europe. I feel so lucky to be part of their lives. Thanks for sharing this! After reading your blog and some other blogs of people who have kids with Down syndrome, one of my goals for the next 5 years is to adopt a child from Reece's Rainbow. I am not sure how it will work because I will be a single parent, and I have ADHD (apparently some of the countries won't allow you to adopt if you have a history of ANY mental condition) but it is something I really, really, really want to do and can see myself doing. I first found the DS community on instagram when I came across a video of Macyn from macymakesmyday on the popular page. Then I followed Christy, which lead to you E, then cou rtney and from then on multiple other families. Most of the time I feel like a creep because I dont have a child with DS . (I'm still in college and not even sure I'm legally even old enough to adopt). I always feel like an intruder , because somehow I dont feel like I belong. However for some reason I feel so drawn to your stories and your lives. For once in my life I cant wait to fast forward my life to the point where I can bring the joy of adoption & DS to my own life. I honestly think the main reason I am so "addicted" to the DS community is because with so much unkindness and ugliness and evil going on in this world.,your world is an escape to all the things that are good and happy and filled with joy. The blessing of DS is exactly that. ( well most of the time, I understand that your life isn't always a bed of roses) . But there isn't a single day where I don't come across a blog or instagram post in the DS community that doesn't make me genuinely happy. I am so inspired by you all.